The Comstock Premier Lodge takes great pride in its ability to produce some the of most affordable pheasant and UPLAND BIRD HUNTING anywhere. Acres and acres of specially placed food plots have been specifically managed and developed to produce an abundance of wild and preserve pheasants and game birds. Challenge your own dog or use one of our experienced pointers on your choice of pheasant, quail, chukar or grouse. 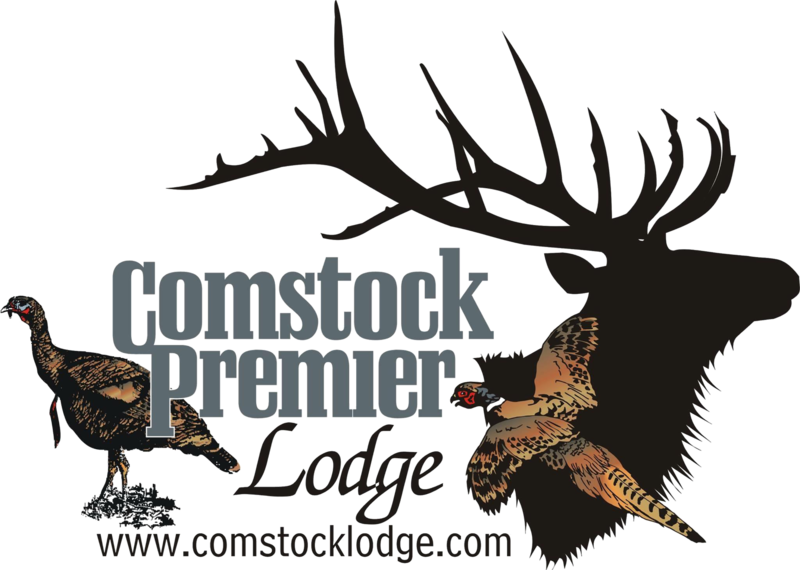 For the best pheasant hunting and most affordable in Nebraska come the the Comstock Premier Lodge. Comstock Lodge has revised their pheasant and upland bird hunting rates so you can build your own hunting package! to 5 hunters. Plus lodging and meals. Have the ability to hunt 600 pheasants in two days. We are now taking reservations for a limited number of hunters for our Flighted Style Shoot. There is space for ten hunters and scheduling is on a first-come, first-served basis with a minimum of six hunters required. Those of you who have attended our Flighted Style Shoots know how much fun this activity is. Ten Stations are set up in a plush green valley with birds flying over the cedar covered ridge. The amount of shooting is fast pasted and exciting. Your walk up afternoon hunts are in excellently groomed food plots. To reserve your spot you may pay in full at time of booking or pay $500.00 deposit, with the remaining balance due upon arrival.